Cardiff City had its greatest era during the 1920s, claiming a second place in the top division and reaching two FA Cup finals (with a victory in 1927, which made them the first Welsh side to win the tournament). Although the club is resided in Wales they are playing in the English professional league. It hasn't stopped them from winning the Welsh Cup more than twenty times. Since 2010 the club has been owned by the Malaysian business man Vincent Tan. Ninian Park, former home field of Cardiff City. 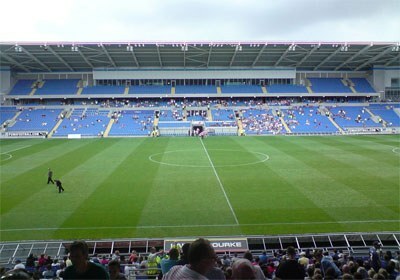 Cardiff City FC was founded in 1899 as Riverside Cricket Club. At the approximately same time the club was going professional the name changed in 1908 to Cardiff City. Cardiff as a football club was at its prime in the 1920s, reaching the FA Cup final twice. First time in the 1924-25 season as runners-up (after losing 0-1 in the final against Sheffield United) and second time in the 1926-27 season as winners (after winning 1-0 in the final against Arsenal).